Pick up bib/packet either Saturday or on race day at the Sullivan. Saturday March 9th from 3:00 p.m. to 6:00 p.m. at the Sullivan or Race Day Registration/packet pickup starting at 7:00am at The Sullivan. Please do not switch to a different start on race day. It creates a timing scoring chaos! Walker Start is 8:30 a.m. Walkers must have one foot on the ground at all times (two off the ground you’re running or flying!) Walkers who are seen running (or flying) by spotters will be scored as runners. Course and finish line closes at 1:30 PM. That gives you 5 hours to finish the race. 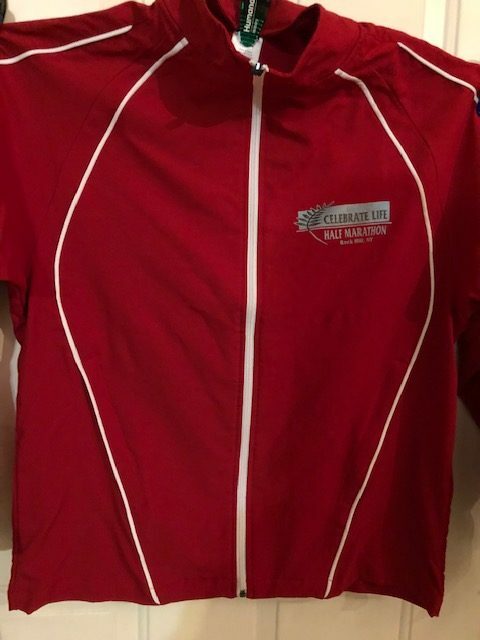 Jackets to first 800 registered participants. Unpicked SWAG is not mailed. Personalized bibs when registered by February 20. Lucia walked CLHM many years before being diagnosed with cancer. She continued to walk the race while fighting. As it became more difficult for her to cover the distance, she inspired the Two Person Relay. Ideal for those who want to be part of the race and its cause, but are unable to do the entire distance. 1st leg 7.5 miles, 2nd leg 5.6. First leg starts with 10:00 am participants. There will be buses transporting partners to the exchange and picking up the ones already done. We encourage you to take the buses. 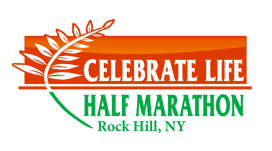 Main portions of The course will be closed to traffic. Professional Photography by Steve Kiel Photography on course and finish line. Lunch by The Outback of Middletown offered to Participants ONLY while quantities last. We try to feed everyone, but if we run out, please be understanding. If you have special dietary needs or preferences, please plan accordingly. Massage offered by Tony Trujillo. Top 3 male and female in the following age groups of the Run category: 16 and under, 17-19, 20-29, 30-39, 40-49, 50-59, 60-69, and 70 and over. Professionally electronically timed by Super Race Systems. The C3 will be presented to the Club with the most PRE-registered members. Must have over 15 members pre-registered to qualify. The Fast C3 will be awarded to the Club with the fastest times of their top 5 runners. Carpooling is advisable. You may park at Crystal Run Health Care. Please refrain from parking in the church parking lot and on the road near the start/finish area. We regret there are no refunds. A display of names honoring a loved one who has faced cancer and/or encouraging one of the participants. The names stretch along mile one and 11 reminding you with each step you take of the contribution you are making in the fight against cancer. 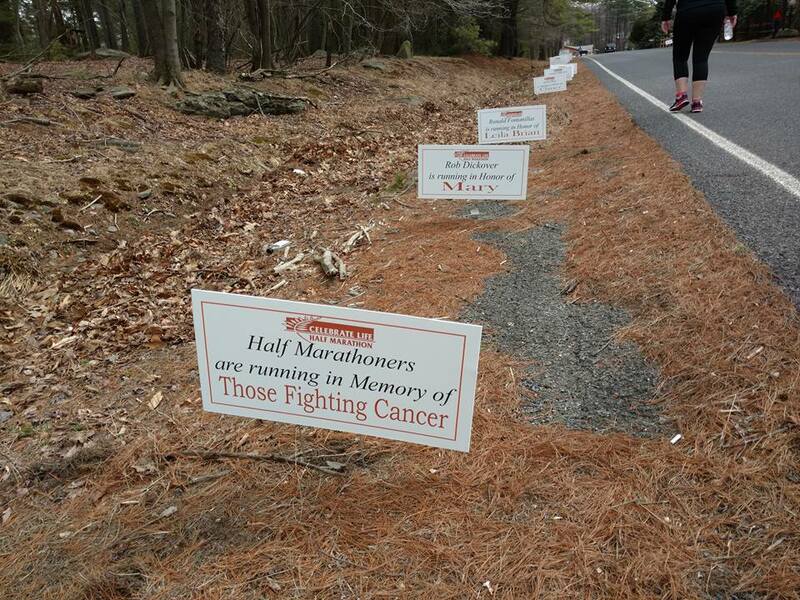 To include the name of someone you would like to honor and remember in your run, submit a donation of $35 per sign. Pay by PayPal or send check with name of Honoree to PO Box 965 Rock Hill, NY 12775. Expect email from Race Director Myriam Loor verifying the information before the race. If you do not get an email directly from Race Director at some point, yell at her preferably before the race. 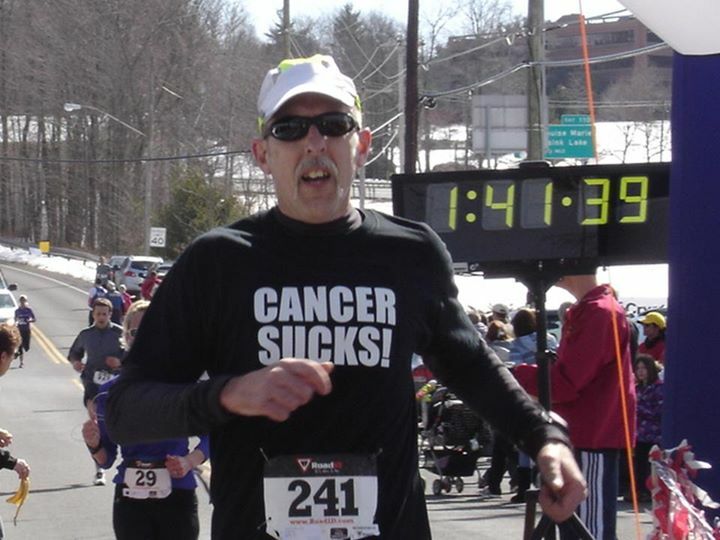 All Motivational Mile signs are confirmed before printing.